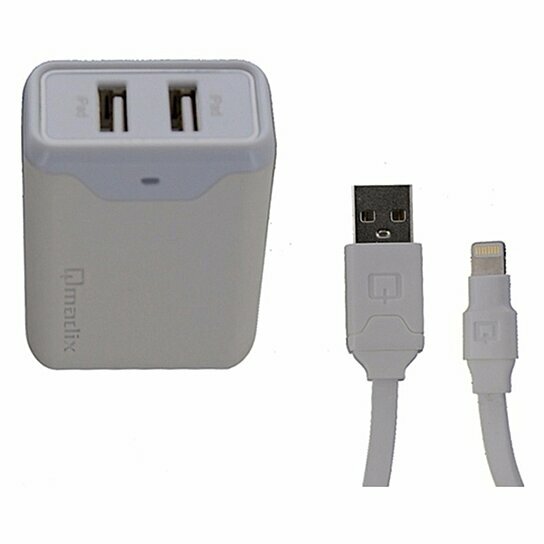 Apple Certified Lightning 4.8 AMP Dual USB Power Adapter for iPhone, iPad and iPod with Separate 6ft Lightning Cable. Compatible with most USB Cables. Collapsible prongs for compact size. Tangle-free flat cable design.